Looking for some eco-friendly pillows that don’t look like they’re made from hemp? 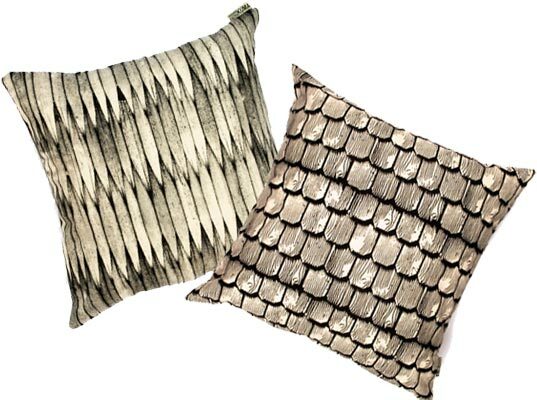 These sophisticated throw pillows from Areaware are just the thing! Designed by Ross Menuez and hand silk-screened on organic cotton canvas cover, they come in beautiful patterns like cedar shingle and tatami that make them look like they are textured even though they’re actually flat. Looking for some eco-friendly pillows that don't look like they're made from hemp? 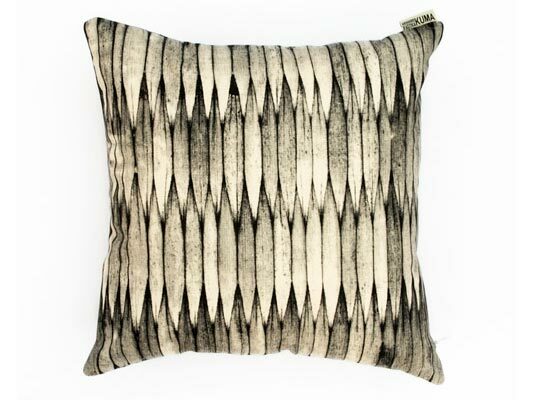 These sophisticated throw pillows from Areaware are just the thing! Designed by Ross Menuez and hand silk-screened on organic cotton canvas cover, they come in beautiful patterns like cedar shingle and tatami that make them look like they are textured even though they're actually flat.